Thanks to everyone who contributed cards and coloring pages for active military and veterans as part of the American Red Cross’ “Holiday Mail for Heroes” program. 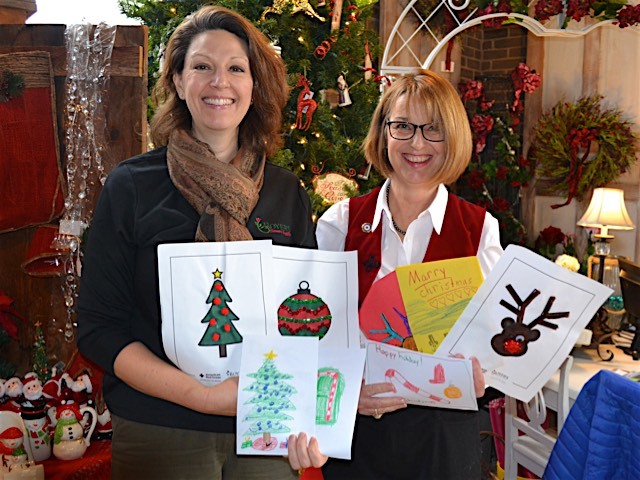 From Nov. 11-25, we invited the public to drop off the cards and coloring pages at any Royer’s store. The donated items are destined for military installations, VFWs, American Legions, the Lebanon VA and retirement homes in 22 counties in central Pennsylvania. The American Red Cross prevents and alleviates human suffering in the face of emergencies by mobilizing the power of volunteers and the generosity of donors. Last year in central Pennsylvania, the Red Cross assisted close to 4,000 people affected by more than 400 local disasters. Photo, from left, Dena Eberhart, human resources manager, Royer’s, and Kathy Doran, regional service to the armed forces director, American Red Cross.